2018 Dates: October 5-7, 12-14, 19-21, 25, 27, 31. Hours: Varies by date, starting as early as noon and ending as late as 10pm. Find specific event date & times in our calendar. This month-long series of events includes decorated shops, pumpkin patches, spooky sounds, ghostly games, live entertainment, haunted walking tours, bar crawls, and themed food and drink specials. There are free horror movie screenings on Fridays, including Mary and the Witches Flower, Prince of Darkness, and Godzilla (1954), the latter in conjunction with the Kaiju vs Heroes: Mark Nagata's Journey through the World of Japanese Toys exhibition at the Japanese American National Museum. Haunted Little Tokyo will culminate with a block party on Saturday, October 27 from 5pm to midnight, followed by Trick-or-treating on Tuesday, October 31 from 2pm to 7pm. 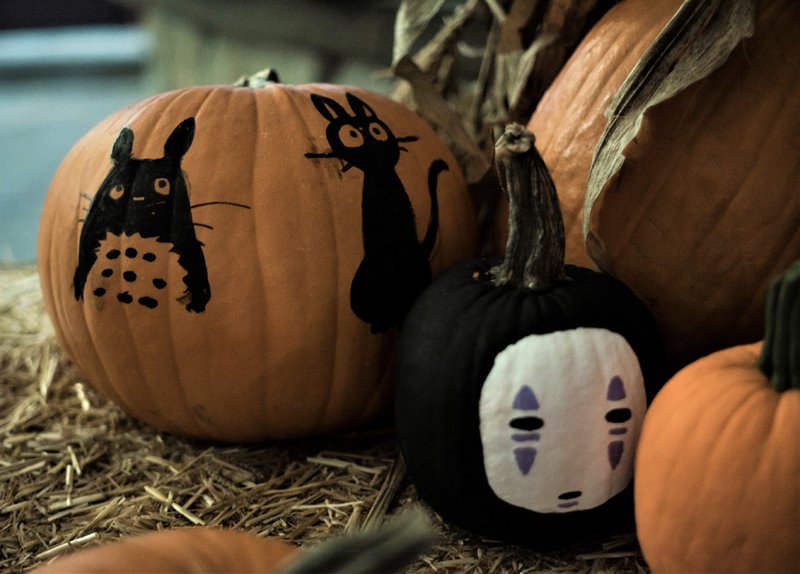 Presented by Go Little Tokyo (a community-led effort to promote cultural events and local businesses), Haunted Little Tokyo made its debut in Halloween 2017. Events included haunted walking tours, a block party, and screenings of Hausu (1977), Kiki's Delivery Service, Dark Water (2002), Ju-On: The Grudge (2002).